Promotional pens aren’t just for white collar businesses; tradies need pens handy on each and every job they do, and with our LED Torch Ballpoint Pen you can’t go wrong. 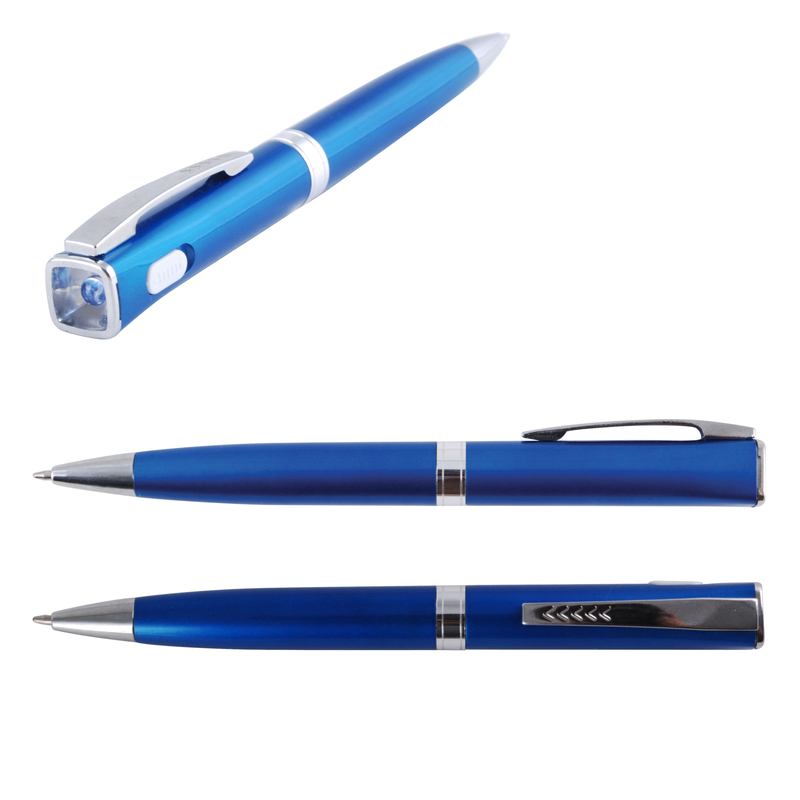 This pen combines a twist action LED torch with powerful white light with a quality ballpoint pen and packages it up into a contemporary metallic coloured barrel. With the option of a black suede velvet pouch, these pens are great for your own staff members or as a gift or promotional merchandise for your customers and clients. The LED Torch Ballpoint has two logo print spaces – a 45mm x 7mm space on the barrel and a 28mm x 7mm space below the switch. 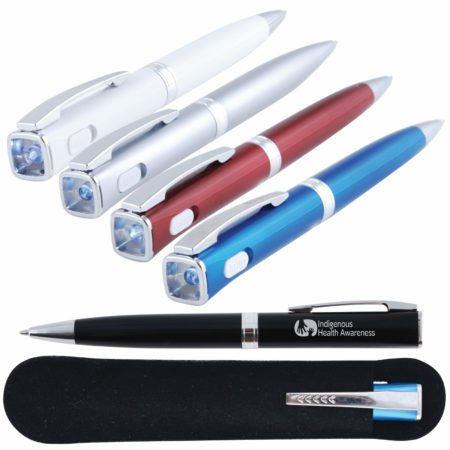 Combined with five colour combinations, these pens will get your logo and branding message out in front of customers and clients. Our LED Torch Ballpoint branded pens will come in handy when least expected, and will help you stand out from your competitors – your customers and clients will remember you as the company to turn to when they need support or supplies. 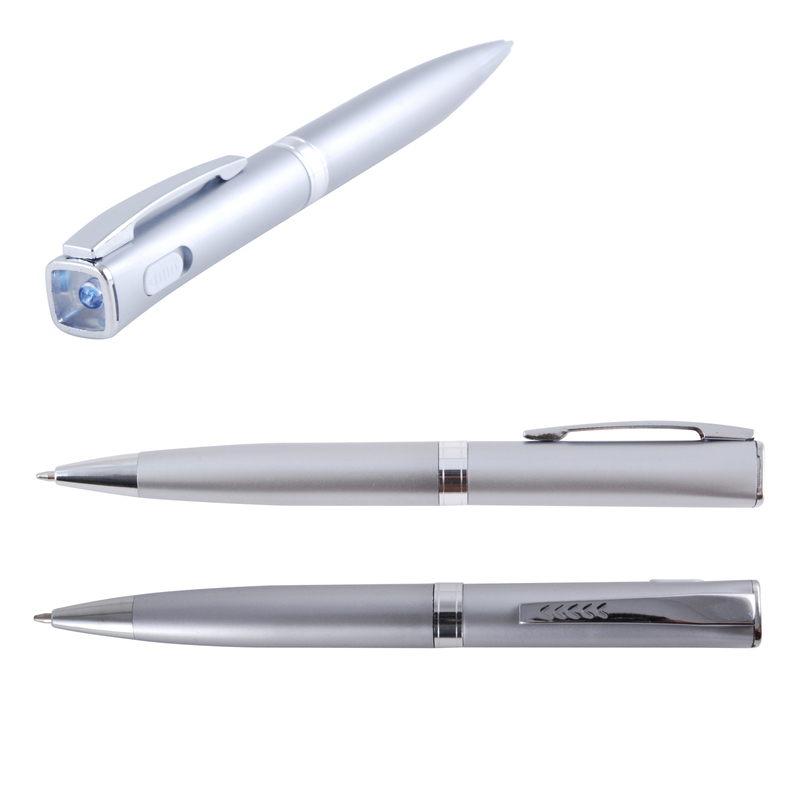 Twist action LED ballpoint plastic torch pen with powerful white light available in range of metallic colours. Optional black suede velvet pouch.